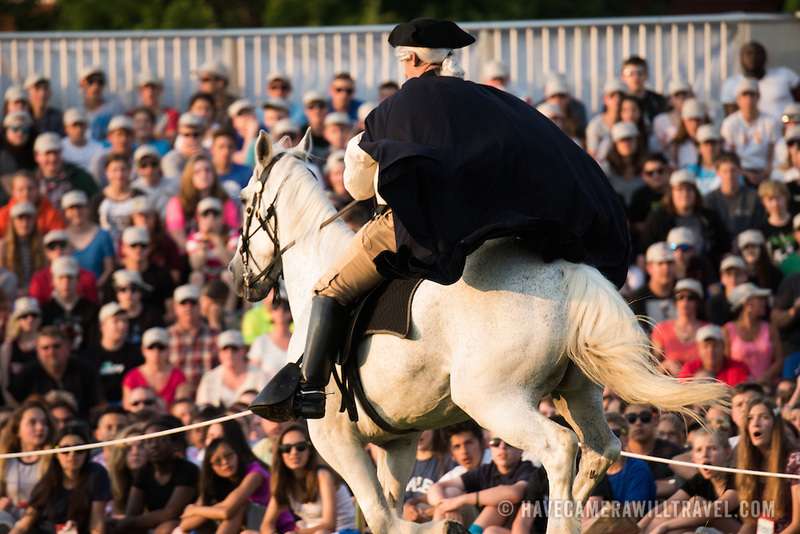 A mounted soldier reenacts Paul Revere's famous ride alerting colonial militia of the coming British forces during the American Revolutionary War. The U.S. Army's Twilight Tattoo is held on Tuesday evenings in the summer at Joint Base Myer-Henderson Hall in Arlington, Virginia. The event features various Army regiments and personnel, with live music, marching bands, and historical reenactments.